While the Jumma Hafta Art Bazaar that recently took place at a local cafe in Karachi, called The Second Floor (T2F), was a melting pot of compelling art pieces and vibrant canvases, the most eye-catching of all the displays around was probably the portrait of Imran Khan that Shanzay Subzwari was painting on the spot. The artist’s inspiration behind choosing that particular piece was pretty basic — the appreciation of Pakistani heroes. All of us are used to seeing objects, particularly politicians, in binaries; either one is Darth Vader or one is Batman. There’s no in-between. No one accepts them as just mere mortals who are prone to making mistakes and while that may not be so erroneous most of the time, it’s practically impossible for anyone to be totally devoid of any positives — even if he or she is a politician from our part of the world. The multiple colours, splashed with measured brushstrokes, had the very obvious impact of inciting curiosity. The eyes were painted blue around the corners and stood out like stubborn car beams that one often comes across on the roads of Karachi. The lips, that were painted red, immediately had you conjuring up a mental image of a clown whose makeup is kept loud, intentionally, to mask the actual sentiments underneath. The hair was accentuated with various hues of purple, green and orange, lending an impression of the person having had his share of experiences and trials, if not a jab at the politician’s ‘colourful’ reputation itself. The nose, as if defying imperfection, was painted with steady hands, ultimately adding to the effect of the portrait bespeaking “steely resolve”. For a person who is as associated with the slogan of ‘change’ as Imran Khan is, the portrait appeared to be too set in stone for my liking. Even though it did grasp the fact that there’s more to a person than what is perceived after listening to them speak on TV for a few minutes, I felt that the art piece could have said more. Having said that, it was probably one of the more reflective depictions of the Pakistani hero, for I can imagine everyone else painting him in only green and white. Is your online life more 'real' than your reality? Great artwork author. 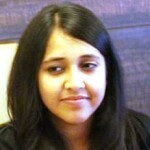 Thank you for sharing and thank you also for sharing your interpretation. I loved the way you wrote this and your impressions of the colour scheme and how you thought they relate to Imran…………especially in the end when you conclude that all others see him in green and white, that was very telling. Thank you so much for this article on my work once again, Riffat. Your interpretation truly holds strength and is very apt. Let me clear one thing out for the readers, though- my Imran Khan live painting was done at T2F in order to promote my upcoming show there in October, based on ‘Cricket Heroes’. I painted Afridi live as well. Hence, my painting does not have any political overtones, but was done to commemorate Imran Khan as a legendary cricketer. Blue, Red, Purple, Orange- But not enough Green. 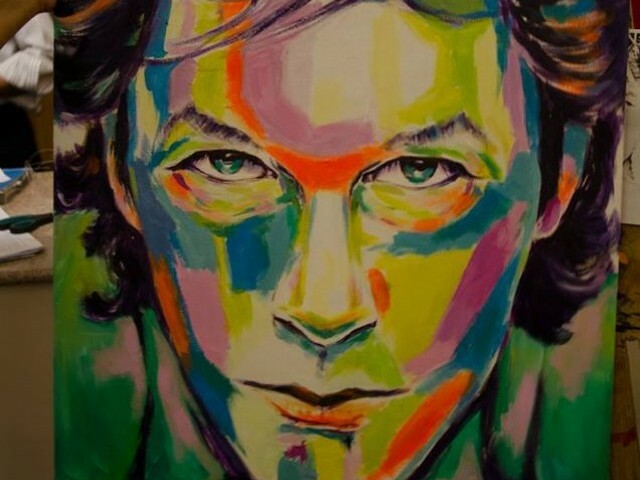 I feel the artist has done wonderful job.By using various colours she has painted Imran Khans biography. I would like to order this painting, Please let me know what’s the procedures, I’m from Dubai.